The best farm-fresh produce and products - direct to you from our local producers. The market is located on Harry S. Truman Parkway, at the corner of Riva Road. 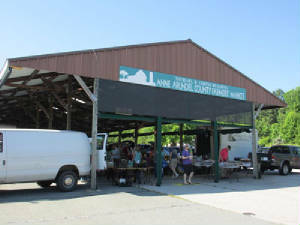 Anne Arundel County Farmers' Market, Inc. Note: This is only for scheduled drop-offs, the Market is NOT OPEN. Times vary, check with your vendor for scheduling. Thank you, as always, for making the choice to support your local farmers and artisans.